I expect that everyone understands that exercise can improve our health. Finding time to exercise every day, or even several days each week, can be challenging. Many of us work very long days, only to come home to busy family lives and personal obligations. We try not to let our job interfere with exercise, but carving out even 30 to 60 minutes on top of all of these demands can be hard for any of us. Is it possible then to get exercise where we work? Could some simple steps improve our physical fitness, our health and wellness, and even increase our work productivity? Here are some suggestions. You might need to adjust them depending on the specific nature of your job. Use the stairs instead of elevators whenever you can. If you have to go up several floors in your building, you might as well get exercise doing it. Park toward the back of the parking lot and walk into and out of work. Instead of circling the lot for minutes looking for a spot close to the front door, park at the back of the lot and walk to the entrance. That extra 100 yards adds up quickly if you do it every day. Wear running shoes to work. Bring dress shoes to wear when you start work, if you need to. Not only will the running shoes help with walking longer distances from the parking lot or during breaks at the office, but they will also serve as a reminder to use them if you see them throughout the day. Use small breaks during your day to get exercise. While 30-60 minutes of walking or jogging is ideal, several 10-15 minute sessions can be effective as well. Look for gaps in your schedule. Then use a few of them to perform some sort of fitness activity. Keep some dumbbells or resistance bands at your desk and use them frequently. Just like walking during breaks and slow times, lifting weights and doing other forms of resistance training require little space or preparation time. Doing a few exercises in each small break can add up to a complete workout by the end of the day. Using a Swiss ball as your office desk chair can help improve your core strength. Replace email and the phone as your primary means of communication. 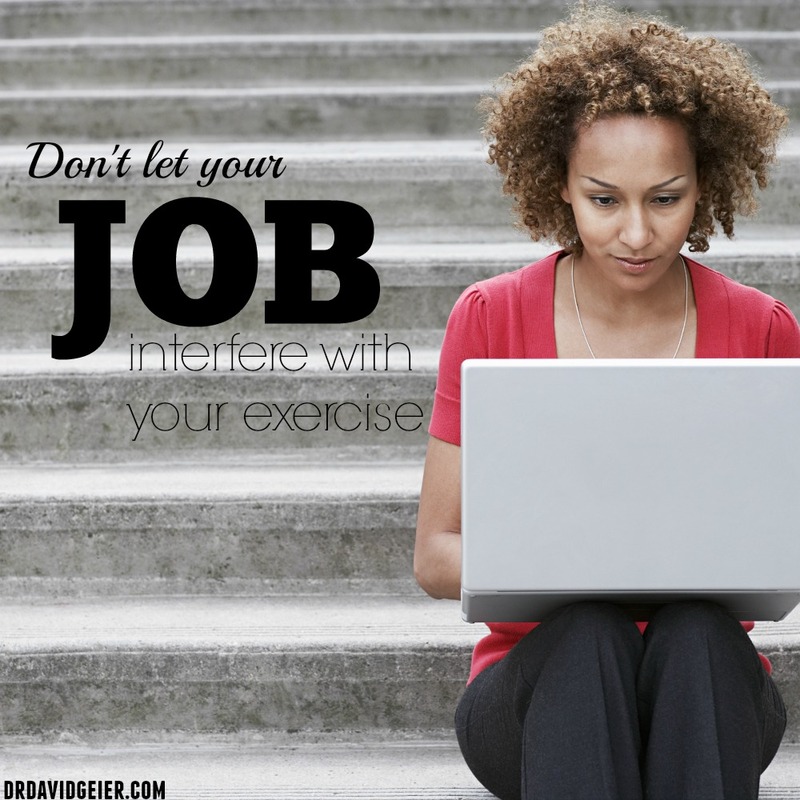 Rather than sending emails back and forth to coworkers, get up and walk to visit them. You might be surprised that you actually accomplish more in less time, and you will burn a few calories each time too. Start a walking club or fitness class after work. Running, walking, yoga, aerobics, and other forms of exercise with others will improve collegiality among coworkers. 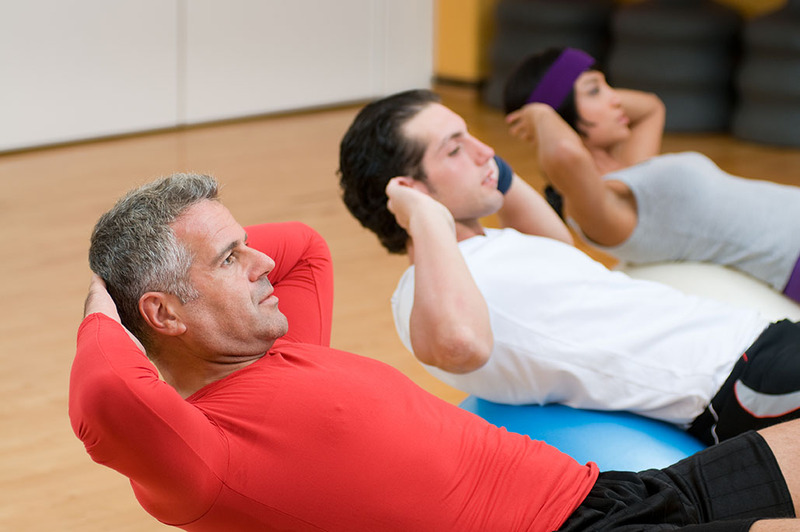 Exercising together will provide motivation by making it less likely that you will skip the exercise sessions.